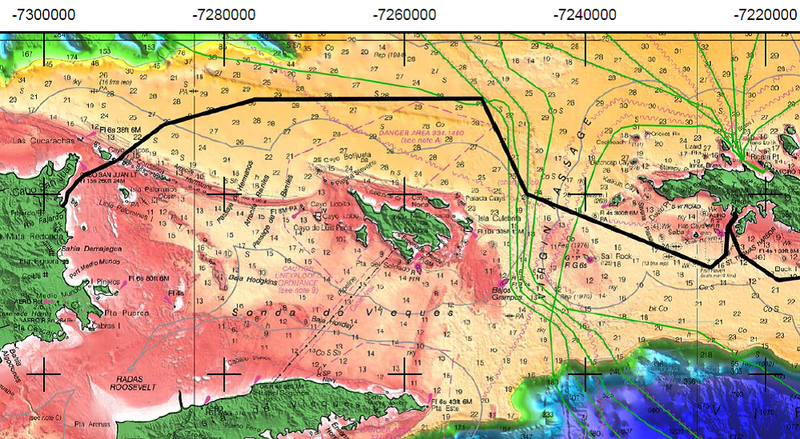 Route selection analysis for a submarine power cable in the Caribbean. Makai’s geographic information system (GIS) group specializes in delivering custom software and services for marine GIS applications. This includes transformation of custom data types, integration of GIS data with common visualization tools (e.g., Google Earth), and producing stand-alone GIS tools for our clients. Makai has performed numerous submarine cable and pipeline route desktop studies. The work typically consists of researching and collecting all available data relating to the bathymetry, geology, climatology, seismology, oceanography, commercial operations, restricted areas, undersea obstructions, biological factors and regulatory factors. Makai can layer all data onto a single platform to perform analysis and make recommendations regarding cable and pipeline routes. Makai has the expertise to collect and pool all types of GIS data, including raw survey data, in order to take into consideration all pieces of evidence in determining the best possible route. Some of the GIS tools that Makai has available are ArcGIS, AutoCAD, GeoMedia, GlobalMapper, MB Systems, GMT, Geographic Transformer, FME and MakaiPlan. 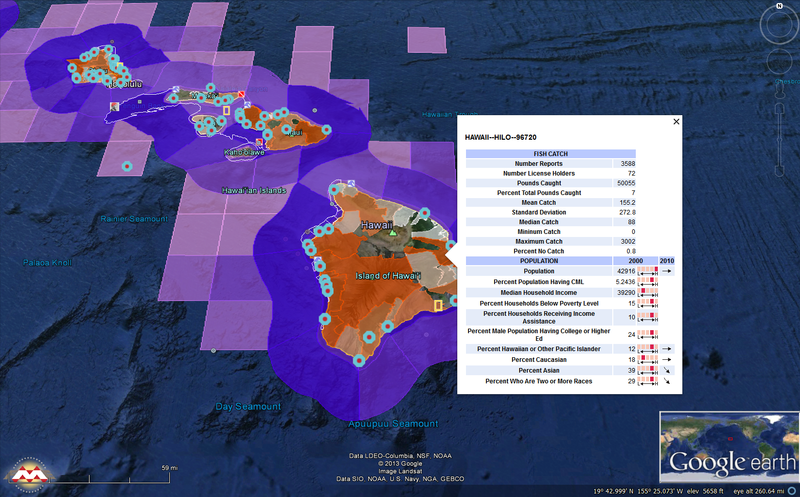 In addition, Makai software developers have the capability to create custom solutions to incorporate unique spatial data. Whether you need a software development solution to a complex GIS problem, or the creation of constraint maps or GIS topology charts, Makai can provide you with the GIS services that you require. Custom GIS tool developed for NOAA to enhance their Fishing Ecosystem Analysis system with an Oracle database backend, a FME server front-end, and a Google Earth reporting GUI. Makai programmed query capabilities, output formats and features, statistical outputs based on the security status of the user, and the automatic inclusion of new data. 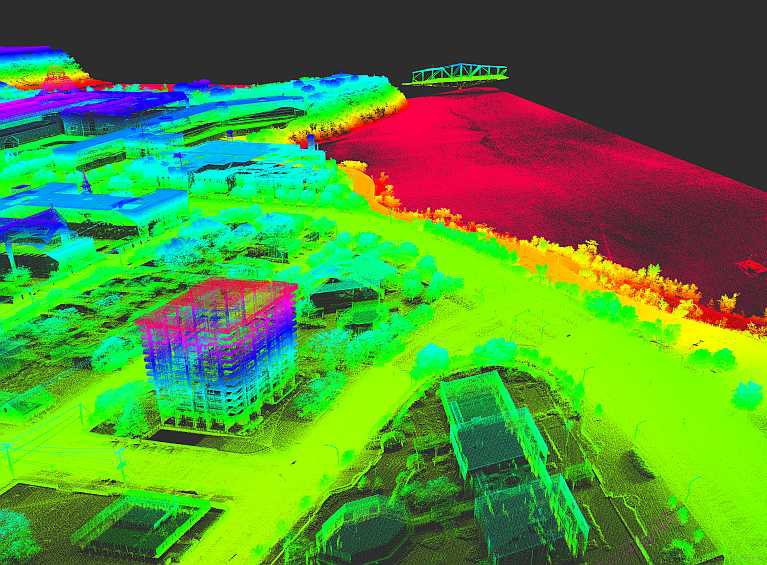 Rendering and analysis of LIDAR data color coded by elevation.